Chicago police are searching for a man who allegedly pulled a stun gun on a woman and robbed her at the CTA Roosevelt Station. CHICAGO (WLS) -- Chicago police are searching for a man who allegedly pulled a stun gun on a woman and robbed her at the Roosevelt Station. Police said he demanded her cell phone as she transferred from a Red Line to a Green Line train on Friday afternoon around 2:30 p.m. She complied, and he fled the scene. The woman was not injured. 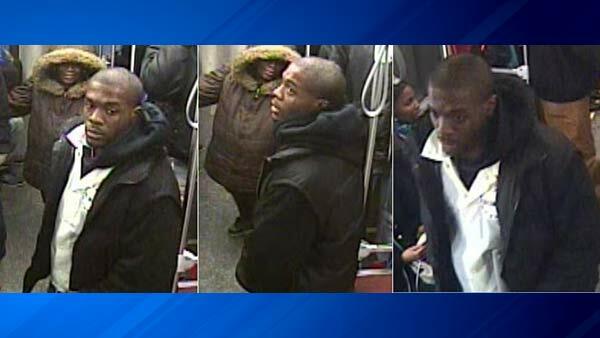 Police released images of the suspect taken from CTA surveillance cameras.